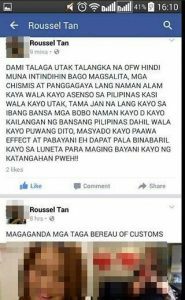 In the midst of all the criticism the Bureau of Customs (BOC) is getting from OFWs, one netizen appears to be on their side. 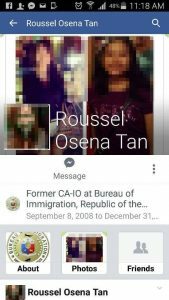 Roussel Osena Tan posted her thoughts on Facebook, thoughts different from many OFWs and netizens who think that the BOC’s random balikbayan box inspections would just trigger more corruption. 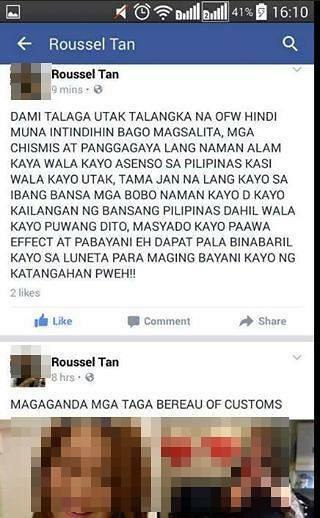 Tan proposed that instead of sending balikbayan boxes, OFWs should consider sending money instead. 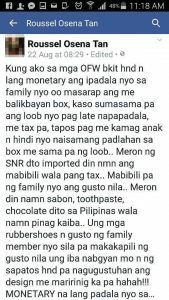 While balikbayan boxes are nice to have, OFWs and their families often complain about taxes and delayed arrivals of the packages. 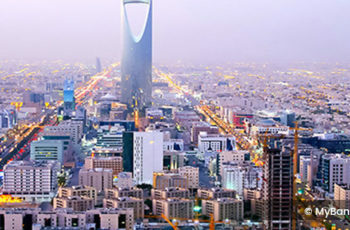 She suggested that S&R is now available in the Philippines, which sells not only imported, but also tax-free, items from abroad. 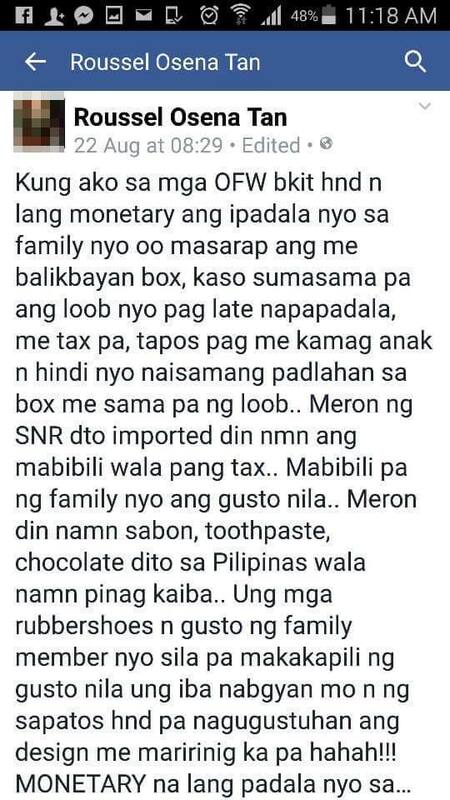 By sending money, the OFWs’ families can buy whatever they want. Tan posted her thoughts on August 22, but her post and her account have been deleted as of this writing. Utak amag na babaeng to , hoi mag isip ka,ikaw ang talangka mag isip. 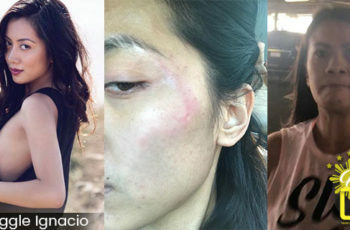 Ma disgrasya ka sana.